Add innovative strategies and skills to your DBT toolbox. 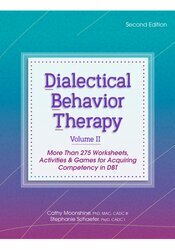 Filled with more than 275 reproducible worksheets, coloring pages, posters, puzzles, games and clinical vignettes. Skills can be used for yourself, or with clients.